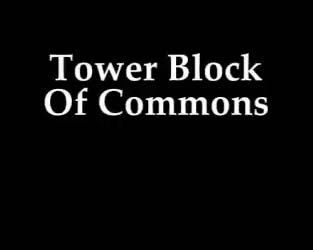 Watched Channel 4's new series 'Tower Block of Commons' last night - brilliant. You have to watch it - its' excellent. In episode one Mark Oaten (Lib Dem), Tim Loughton(Conservative) and Austin Mitchell (Labour) try to survive living on a council estate. Both Oaten and Loughton do well but perhaps surprisingly the Labour politician fails dismally to engage, refuses to live with another family, as the others do, and sneaks off for dinner with some friends one night - pathetic really. But it's gripping stuff. Tim Loughton goes clubbing, Mark Oaten gets harangued by some geezers on the estate 'Oy int you da one ooo went wiv da rent boy init?' and next week... Nadine Dorries arrives!